John Hennessey is obviously the modern-day Carroll Shelby. And while Shelby may have one foot in the grave (not two), it’s obvious that the Texas-based tuner is stepping up to take over where ol’ Shel left off. For one thing, HPE is perhaps the most reputable tuner when it comes to extracting huge, reliable horsepower out of domestic cars (along with a few foreigners, like HPE’s Nissan GT-R “Godzilla“.) They’ll sell you a Camaro with a 725bhp tweaked LS9 supercharged V8 out of the ZR-1, and it’s such a clean conversion that an OBD scanner will have no problem pulling codes. Oh, and it’s got a warranty. How about a Cadillac CTS-V that will do 186mph in the standing mile? Or maybe a 1000+bhp twin-turbocharged Dodge Viper? A Grand Cherokee SRT-8 that runs high ten’s in the quarter mile with a twin-turbo 426cid Hemi? No problem! Now, as far as the Hennessey – Shelby comparison goes, it makes a lot of sense. Shelby spent a lot of time in the 80’s making Turbo Mopars go really fast, and these days Hennessey spends a lot of time making boring domestics like the Lincoln MKS go really fast. (How fast? Hennessey’s MKS MaxB00st runs 13.08s in the 1/4 mile with minimal bolt-ons and ECU tweaking.) But going back even further, to the start of Shelby: the Cobra was, at it’s core, a lightweight British chassis stuffed full of a gigantic American V8 (Ford 260’s, 289’s, and later 427’s.) 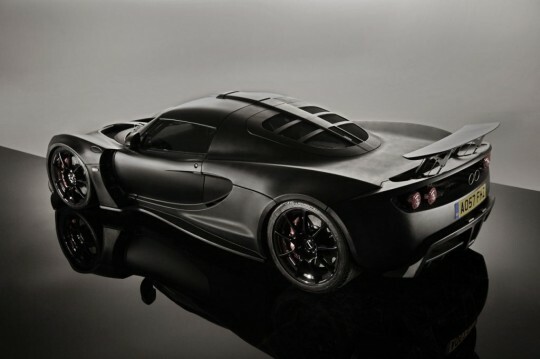 The Venom GT is the exact same thing, only brought up to modern times: a tiny British chassis mated to an epic American V8. While it’s certainly unusual (and certainly the world’s meanest-looking Lotus), the prospect of a 1,000+bhp V8 in a Lotus Elise is hard to ignore. I have no doubt the man will sell every one his company wants to assemble, even at a half-million plus pricetag. 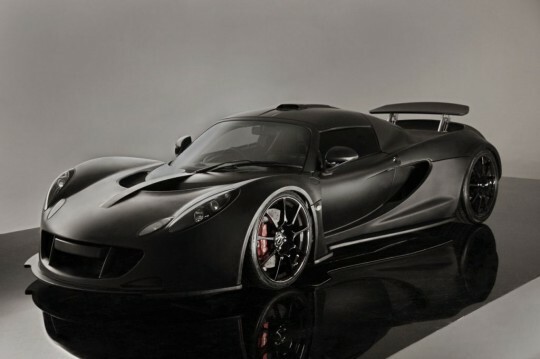 Look for the official debut of the Venom GT later this year, possibly at Pebble Beach.